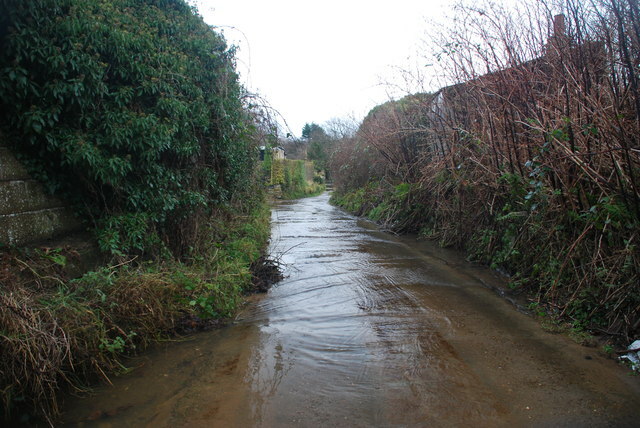 This ford is found on Water Lane in Ruswarp. The ford is accessed from the High Street adjacent to the Butcher's shop and runs for 200 metres or so behind a row of houses. The stream forms the rear access to these properties.